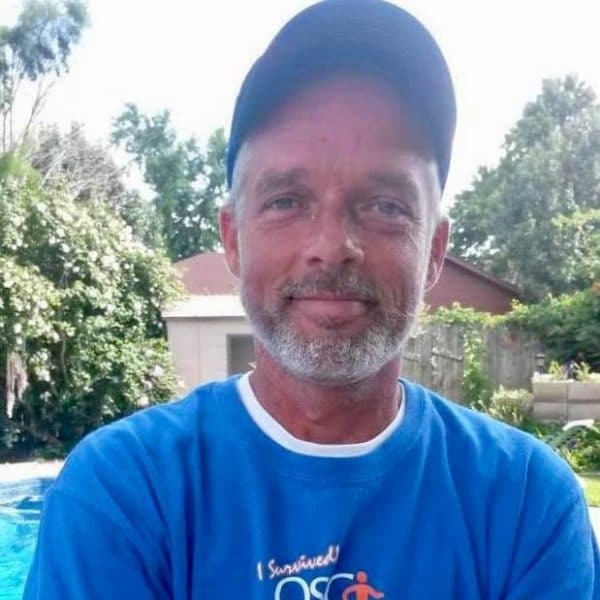 Michael Douglas Hughes of Norman, OK passed away on March 25, 2019 at 52 years old. Mike was born on May 21, 1966 in Del Norte, CO to Frances Crockett and Robert Hughes. He loved the outdoors; camping, fishing, kayaking, pulling the grandkids on tubes at the lake (and throwing them off). Reaching top speed was always the ultimate thrill for him. He loved sports, especially the OU Sooners and OKC Thunder. He enjoyed playing pool and throwing darts. He was happiest when surrounded by his grandchildren, family, and many friends. Whether it was a hot summer day at the lake, or a cold night roasting marshmallows by the fire. Mike graduated in 1984 from Dale High School in Shawnee, OK. He was a jack of all trades; maintenance extraordinaire, hard working, honest, and kind hearted. He was always willing to help anyone in need at the drop of a hat (which by the way, is something he’d rarely be caught not wearing). His love for his children and grandchildren could be felt by his smile and the shine in his blue eyes. Mike was preceded in death by his father – Robert Hughes. He is survived by his mother – Frances Crockett, Sisters – Chandra Snow Glenn and Julie Dickinson, Daughter – Amanda Hughes, Son – Zack Hughes (wife Ashley Hughes), Stepsons – Tierre and Sage Olson, Joshua and Brandon Hendricks (wife Alesha Hendricks), Stepdaughters – Jamie Pittman (Husband Tom Pittman) and Jennifer Williams. Grandchildren – Riley, Kinsley, Boston, McKinze, Zoey, Angel, Caydence, Jazmin, Jaden, Lexi, and Brooke, Former Wives – Cheryl Hughes and Janet Sympson Hughes, and many more family members and friends who were so special to him. We all miss him so much already. A memorial service for Mike will be held at The Main Street Event Center in Norman, OK on April 12, 2019 at 1pm. Gonna miss you. My thoughts and prayers. You will be missed my friend. See ya on the other side…save me a seat! You will be missed dearly!! I, too am a former wife. And current girlfriend. My daughter IS his step daughter, he raised her from age 14. Its a shame how we were left out. I love you Mike Hughes, I know you love us baby! U will always be in my heart & my kids heart ❤️. Thank you for being the dad you didn’t have to be. You taught me soo many things. No one will take your place. Forever loved!! Mike, to me, was just one of those guys from HS that I will never forget. Although he pestered me a lot, he was always kind and funny. He always had a great smile too. RIP peace Mike. I pray ur family gets through this sorrowful time.